Laurie MacFayden’s poems are bright, colorful splashes of language with highlights of rhyme and meter that capture human angst about love, youth, and yearning — boisterous, roughhousing, tomboyish poems. But for all of their energy and muscle-flexing, they have a wonderful, carefully crafted artistry that contains and balances their zesty play on words, zany metaphors and sexual exuberance. “The collection opens with a poem that’s going to be anthologized for the next couple of centuries: ‘My Date With Jackson Pollock.’ MacFayden probably spent a year working out the absolutely magnificent, colorful linguistic twists and curls that exactly duplicate a Jackson Pollock painting, the poet bursting with the same highly charged, only partially contained life-energy of the painter. 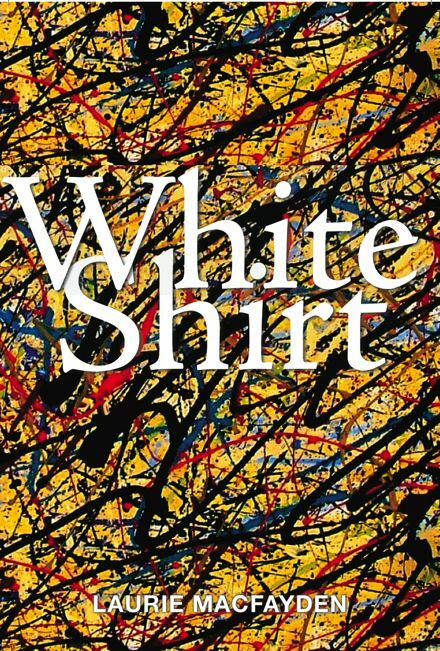 The provocative socio-sexual interplay between the narrator and the painter is an intense thing of beauty in itself, and the poem rewards discerning re-reading with fresh connections between paint and language. You can read the whole blessed thing here. This entry was posted in art/write, Poetry, writing and tagged canadian poets, Poetry; Writing. Bookmark the permalink.